For those who have seen my photos in the past this image might look familiar. 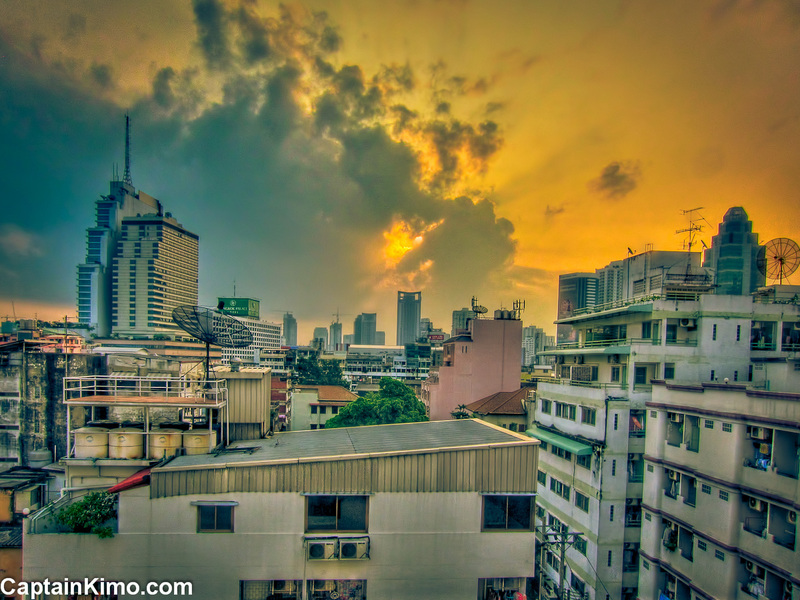 This is a HDR photo from the Golden Inn in downtown Bangkok. It’s definitely not the most elegant place in the city but the staff is super friendly and that’s why I enjoy staying here. I’ve shot and posted this vantage point a few times in the past. This time I shot it using my Canon PowerShot S90 handheld. The colors might be a little off because of my laptop but final result is not bad coming from a small compact camera.